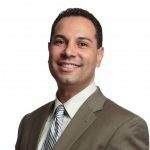 Hector Colon is results oriented senior executive with extensive health care and human services experience. He has a solid track record of producing results in large, complex organizations through innovation, adaptive leadership and employee empowerment. Colon has led organizations with budgets in the hundreds of millions of dollars with over 1,000 employees. He has demonstrated skills in achieving alignment, integration and coordination of systems that has led to improved organizational performance and outcomes. Colon has been recognized for his ability to establish effective strategic partnerships to address complex issues affecting people, systems and communities. Currently Hector is the Director of the Department of Health and Human Services for Milwaukee County where he oversees over 800 employees and a $320-million-dollar budget. The department of Health and Human Services consists of the Behavior Health Division, Delinquency and Court Services, Housing Division, Disabilities Services and Management Services. Colon held several leadership positions in the Governor Doyle and Mayor Barrett administrations. Additionally, Colon served as Associate Executive Director for the United Community Center and Assistant Director at the Wisconsin Correctional Services. Colon received his Bachelors of Science and Masters of Science degrees in Occupational Therapy at the University of Wisconsin-Milwaukee. He also earned certificates in Management and Leadership at Harvard Business School, UW-Madison and Marquette University.